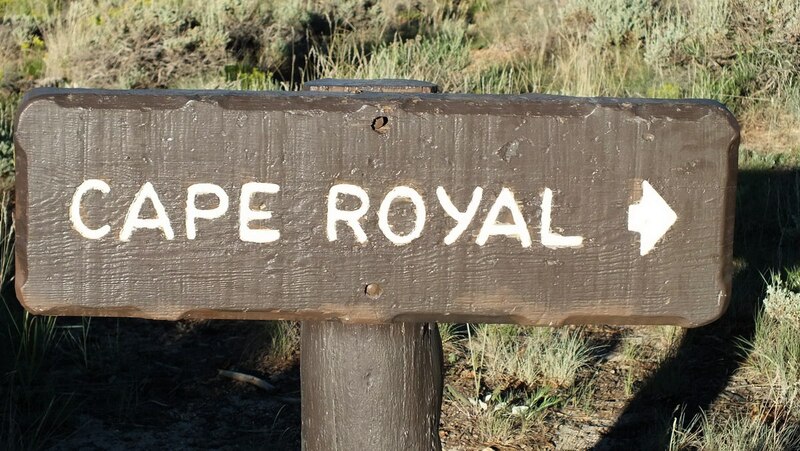 It was very late in the afternoon when Bob and I landed at Cape Royal, one of the lookout points on the North Rim of Grand Canyon National Park. 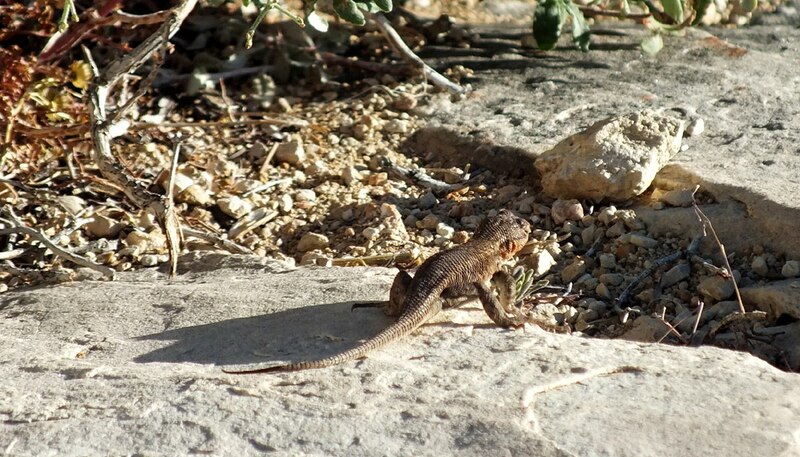 Despite our rush to see the spectacular views before sunset, we took time to observe this little Northern Sagebrush Lizard (Sceloporus graciosus graciosus) seen scampering amongst the rocks right at the lip of the Canyon. 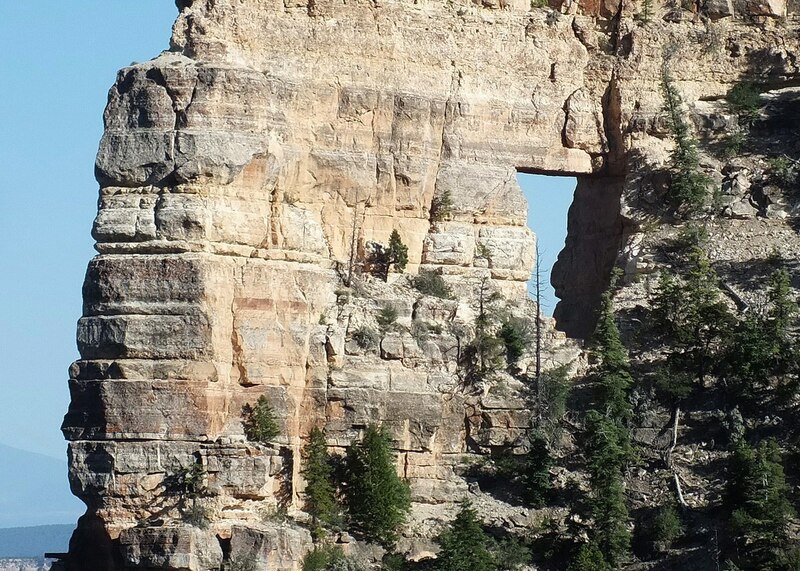 After viewing Angel’s Window, Bob and I hastened along the paved trail towards the viewpoint at the end of the path, a distance of about 1/2 mile (0.8 km), in order to take in the spectacle of Cape Royal. 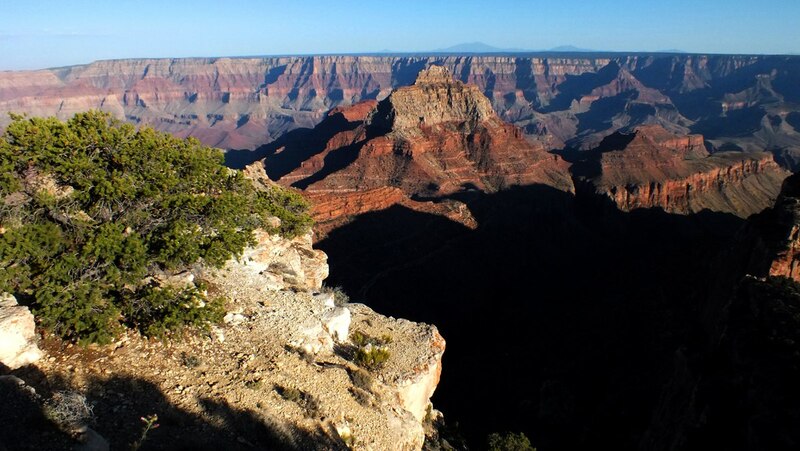 Already, neighboring buttes were casting deep shadows over the formations within the Canyon just off of Cape Royal. 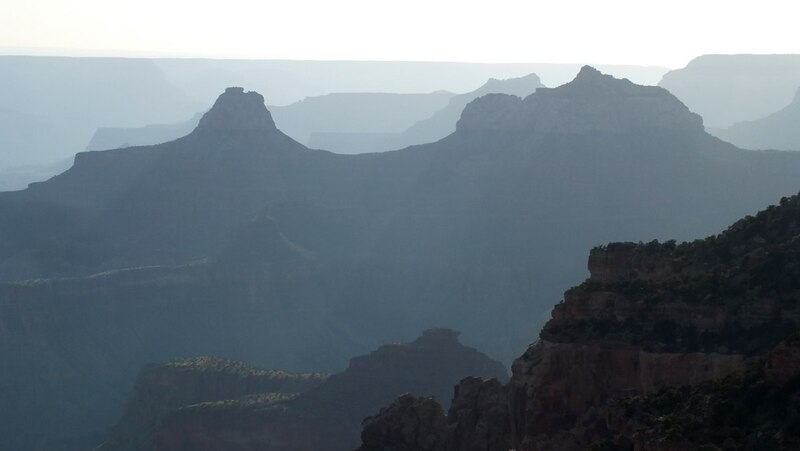 The sharp contrast between the sunlit spires and temples and the depth of darkness in the lower Canyon only served to make the chasm seem even deeper and more mysterious. As Bob and I sat quietly, perched on one of the many boulders along the Rim, a slim Northern Sagebrush Lizard crept stealthily from beneath a scraggly bush into the warmth of the late-day sunshine. 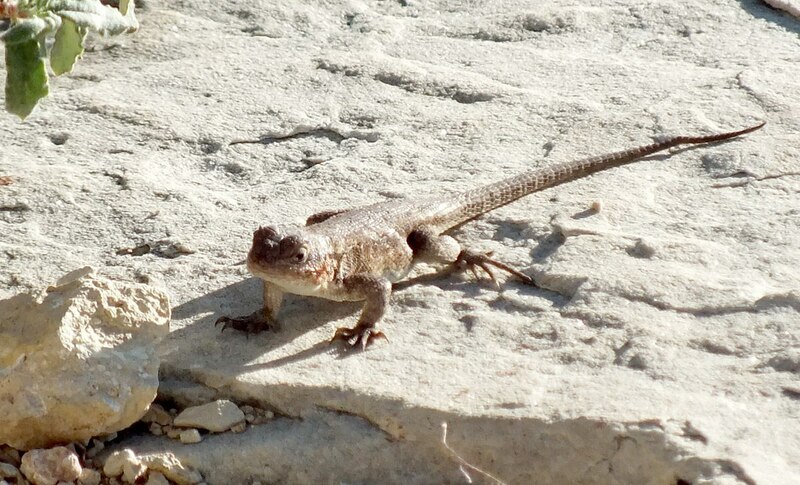 It is customary for these lizards to sun themselves on fallen logs and sedimentary rock outcroppings as they spend most of their time on the ground. 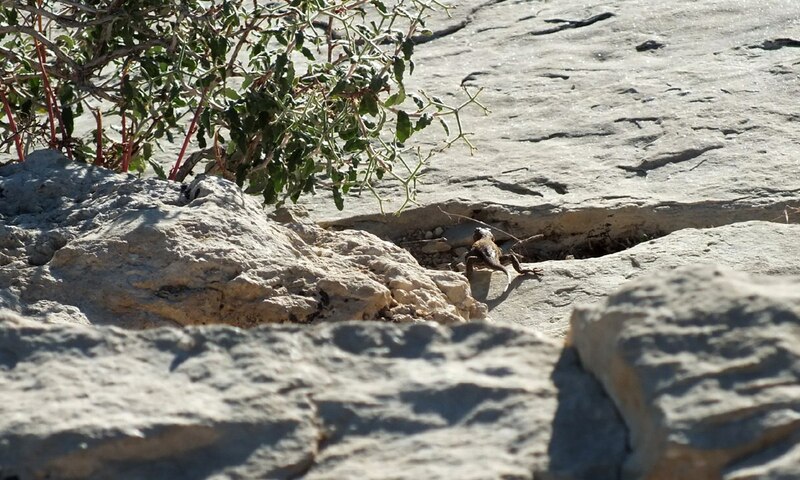 Northern Sagebrush Lizards are easily frightened and will take refuge in crevices, rodent burrows, under surface plants or even in trees if a risk is perceived. We took great pains to move slowly in order to avoid frightening this individual. With a body length of only 2.5 inches (6 cms), 6 inches (15 cms) including the tail, the diminutive lizard would have no trouble finding a place to hide and could disappear in a flash. As its name implies, Northern Sagebrush Lizards prefer to live in sagebrush flats, but they are also regularly found in redwood forests, ponderosa stands and pinyon-juniper woodlands like that found along the North Rim. They take their name from the sagebrush plants (Artemisia tridentata) around which they are commonly found. Their primary predator is snakes. Northern Sagebrush Lizards can be grey, brown or olive, but hints of blue can be seen on the dorsal surfaces during the light phase. The pale blue on this specimen’s side does not stand out very well. Adults have some orange on their sides, although the orange coloration is most pronounced on females especially during breeding season. Males are very similar in appearance to females except that males have light blue splotches on their throats and more intense blue patches on their ventral surfaces (bellies). My best guess is that we are looking at a female. Another common trait is the black bar seen here on the lizard’s shoulder. When Bob and I visited the Grand Canyon, it was right in the middle of the breeding season for Northern Sagebrush Lizards. Perhaps this female had already laid her clutch of eggs, ranging in number from 2-7, in the loose soil at the base of one of the nearby shrubs. It was too soon to see the hatchlings. They would appear in mid-August and would only be about one inch (2.5 cms) long. 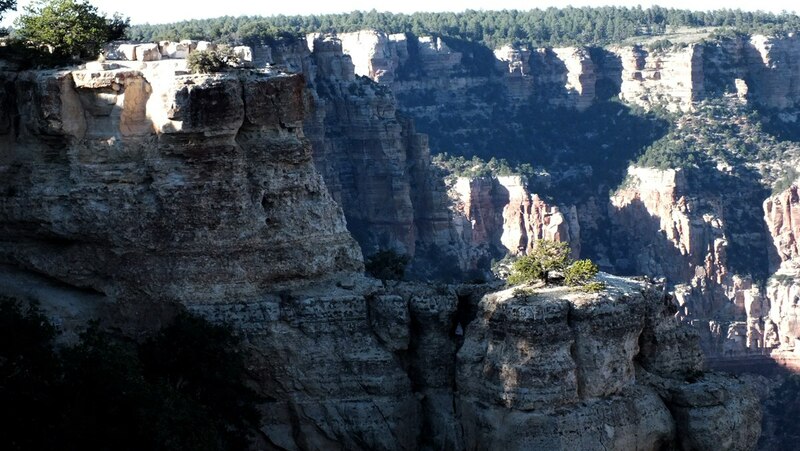 There on the lip of the Grand Canyon’s North Rim seemed an austere location for the lizard to live, but actually they are quite at home at elevations ranging between 500 to 10,500 feet (150- 3,200 m). 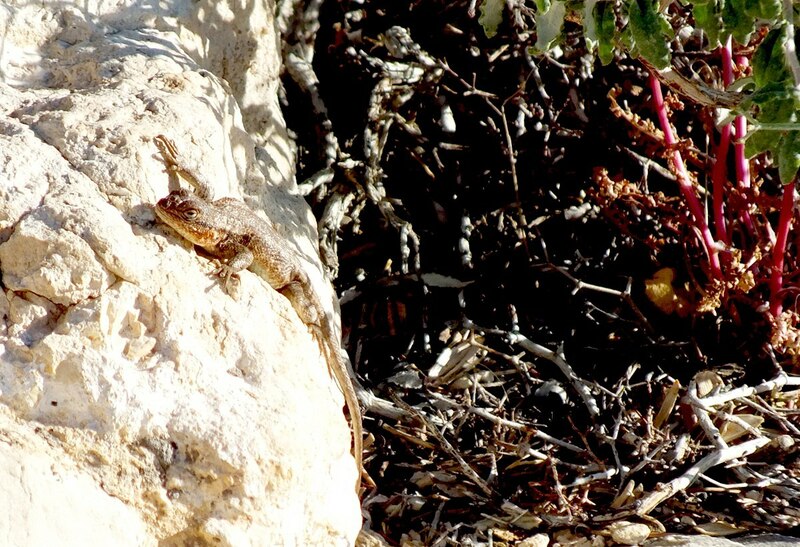 In a warm climate, these lizards are active between April and October, and hibernate during the winter months. 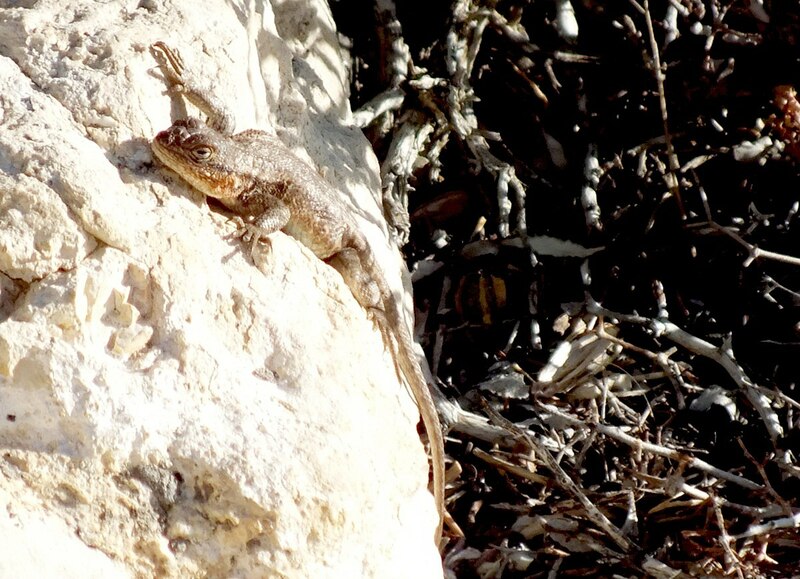 Northern Sagebrush Lizards are both good climbers and jumpers, and they move quickly. Some have been witnessed jumping over one foot (30 cm) to nab an insect that caught their eye. Their diet is made up of a variety of insects and includes such things as ants, spiders, termites, beetles, ticks and grasshoppers. During breeding season, they have been known to consume blossoms and leaves to supplement their nourishment. 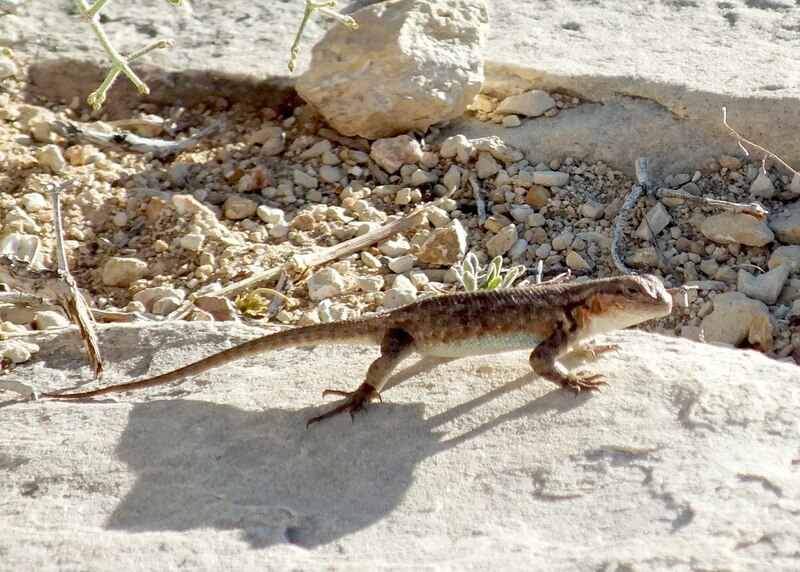 Northern Sagebrush Lizards are diurnal, meaning that they are active only during daylight hours. By the time we pulled ourselves away from the dramatic landscape that stretched out before us, the setting sun was all but hidden from view. 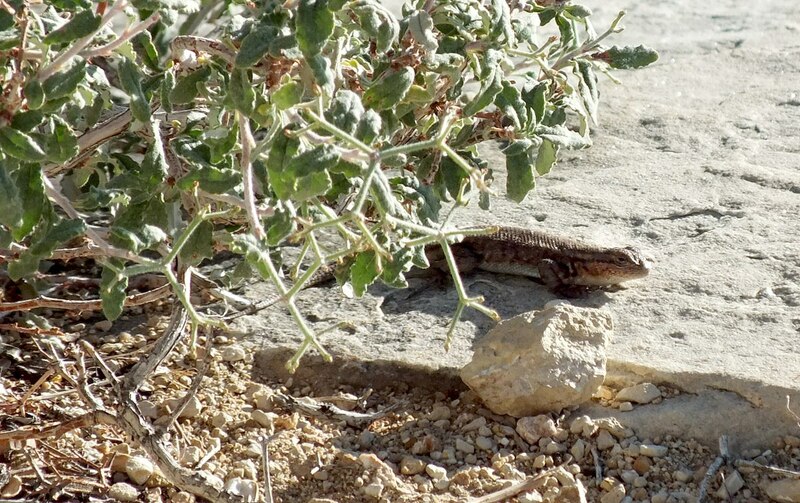 The little sagebrush lizard, after successfully surviving another day, had taken cover. 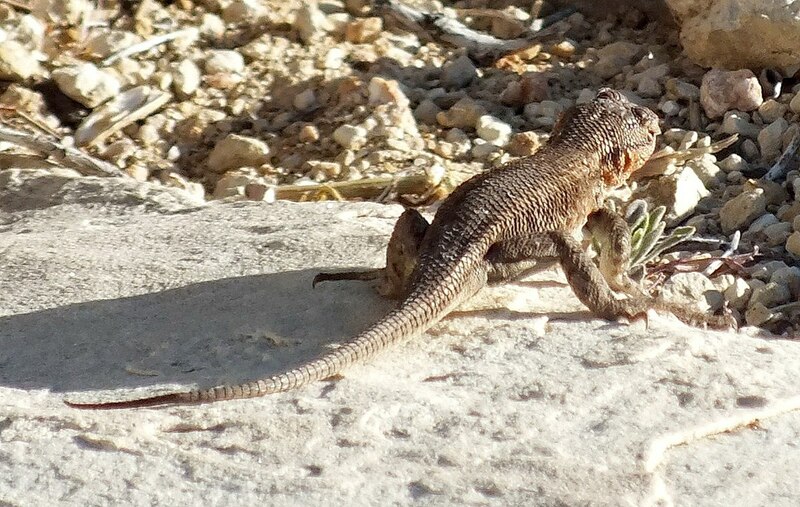 These lizards are listed as sensitive by the Bureau of Land Management, so we were happy that this female was safe to resume foraging at daybreak and to raise any hatchlings that might follow.